Be warned; this list is going to make you want to break out your wallet. In this list of the best malls in America, we detail 25 over the top malls that will make even the stingiest of buyers loosen their purse strings. The malls on this list feature everything from high-end designs to mom and pop stores, all under one roof. Many of the malls on this list also offer a little extra – think light shows, trolleys, amusement parks, and restaurants galore – making even window shopping entertaining. Additionally, many mall stores have online shops that offer even more buying options. So you may want to check out our list of the best clothing websites for even more shopping options. Happy shopping! Featuring the Grove Trolley, a free electric trolley, The Grove shopping mall is a breeze to get around. With a number of stylish and high-end shops available, shoppers can enjoy the newest fashion trends. 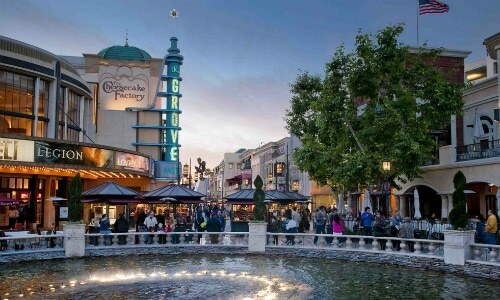 Hollywood celebrities are also often seen perusing the fashionable shops of The Grove. So for those who like people watching more than shopping, the Grove may be for you. 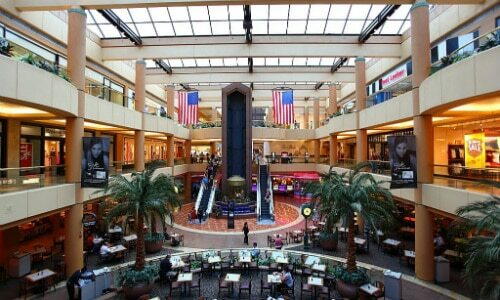 Just a short drive from the city of brotherly love, the King of Prussia Mall is the largest mall on the East coast. Hundreds of shops and restaurants make this mall a no-brainer visit. 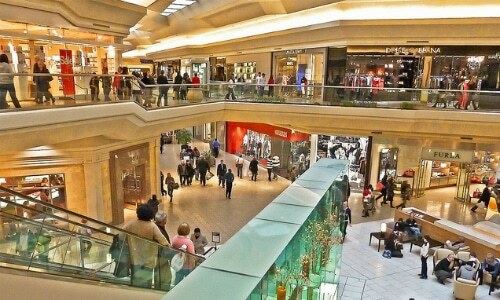 Add in its proximity to other shopping hotspots, and the King of Prussia Mall is a must. Sawgrass Mills is the largest outlet and value retail shopping mall in the United States. There are more than 350 stores at Sawgrass Mills. 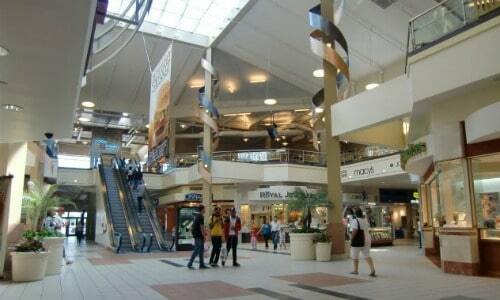 Also, the enclosed, air-conditioned mall ensures you stay comfortable in the Florida heat. 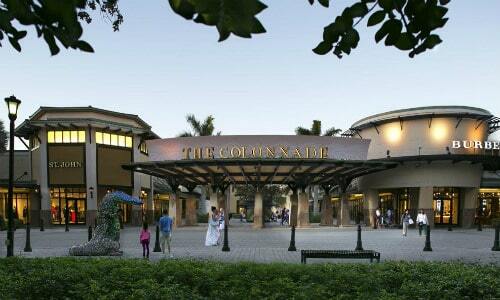 Luxury shopping is also available at the attached Colonnade Outlets, which features over 70 designer shops. 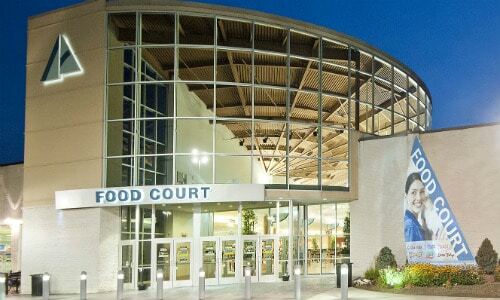 Just a short drive from Chicago city center, the Oakbrook Center has 180 stores. Along with shopping, you will be able to access a number of full-service restaurants as well. 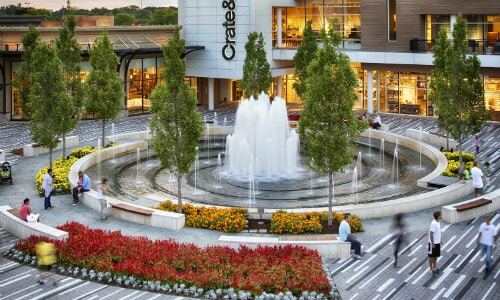 For a mix of standard mall offerings and unique stores, Oakbrook Center is an excellent choice for those in the Chicago area. 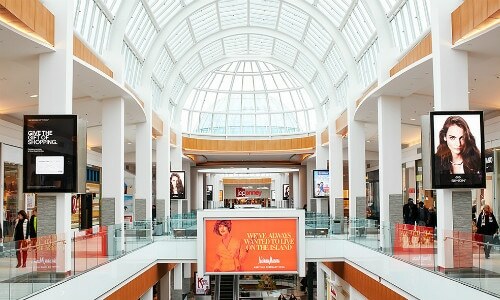 Located in Paramus, New Jersey, just 20 minutes out from Manhattan, Garden State Plaza is a Westfield mall. Luxury brands like Armani and Gucci are here, as well as mid-level offerings like the Banana Republic. Many food choices are also available at Garden State Plaza. All of this combines to make Garden State Plaza an excellent choice for those who want it all. Anchored with stores like Macy’s, Nordstrom, Nieman Marcus, and Bloomingdale’s, Roosevelt Field also has more than 250 specialty stores. The mall also has a Dining District which includes a variety of excellent dining options to choose from. And, last but not least, an AMC theater is also located at the mall, making it easy to shop, eat, and enjoy a movie all in one location. Centered in Schaumburg, Illinois, Woodfield Mall serves the Great Lakes region of Illinois. 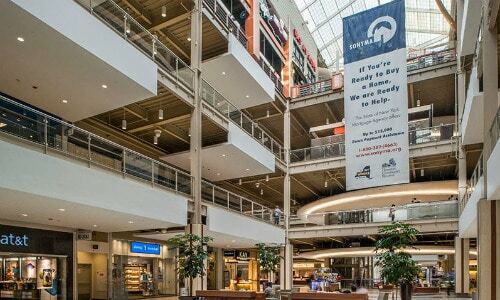 More than 300 stores and restaurants are at the Woodfield Mall, making this large mall an excellent choice for those who can spend all day shopping. With more upscale stores than any other mall in Arizona, Scottsdale Fashion Square is perfect for fashionistas. The mall features more than 200 stores, including luxury brands like Burberry and Escada, as well as favorites like Zara and Crate & Barrel. Dining options include favorites like Kona Grill and Yard House. 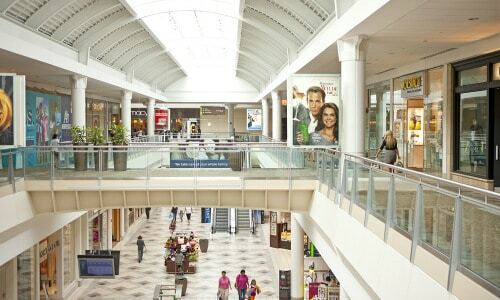 With four levels and over 200 stores, the Palisades Center is a true shopping destination. It also has a number of dining and entertainment options available as well. So make sure that you plan to spend the entire day here so that you can get the full experience. 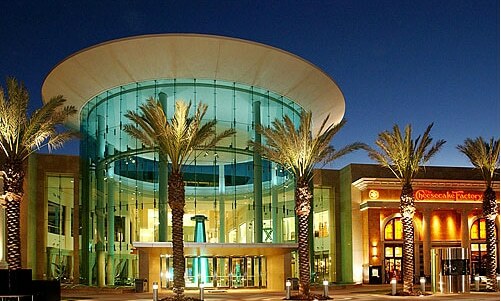 Located just outside of Long Beach, California, the Lakewood Center has a number of favorite shopping options. You will be able to shop at stores like Macy’s, Target, Bath & Body Works, and The Disney Store. Over 30 dining options are also available at the mall including popular choices like Red Robin and California Pizza Kitchen. 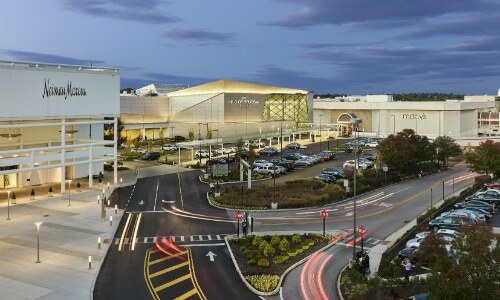 As part of the greater Boston area, South Shore Plaza, located in Braintree, MA, is a premier Massachusetts shopping destination. The mall’s two levels feature stores like Nordstrom, Apple, Coach, and J. Crew. In total, South Shore Plaza has more than 200 shops. It also has ten full-service restaurants as well. Restaurants like The Cheesecake Factory and Dave and Busters highlight the choices. The Shops at Columbus Circle are located at the entrance to Central Park in New York City. These shops have some of the best shopping, dining, and entertainment in the country. A diverse array of over 50 retail shops and boutiques are available at The Shops, as well as a number of top-notch dining options. Next time you are in NYC, make The Shops a stop! 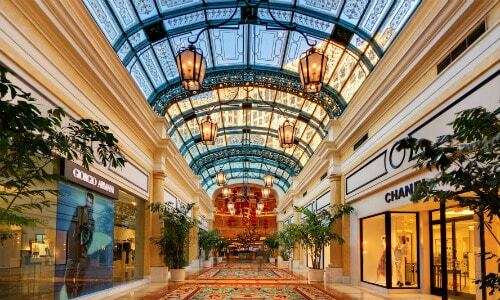 Luxury shopping at its finest, the Bellagio Shops is a Las Vegas destination in and of itself. Designer boutiques and Bellagio signature shops like Chanel and Fendi are offered. So put your casino winnings to good use and do some shopping at the Bellagio Shops. 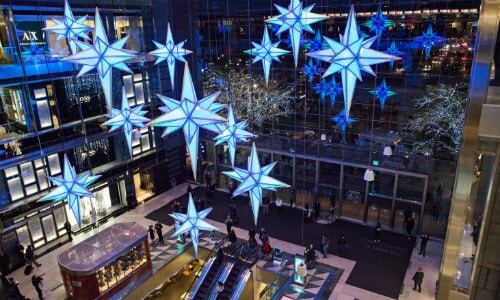 Just west of Washington D.C., Tysons Corner Center is a premier shopping, dining, and entertainment destination. 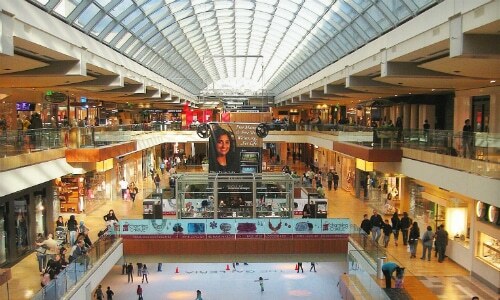 With more than 300 shops are in the mall, you will be able to shop at stores like Nordstrom, Louis Vuitton, and Gucci. A movie theater with IMAX 3D and a number of dining options are also available. Located in Torrance, California, Del Amo Fashion Center is the South Bay’s premier retail destination. With Southern California chic design, the mall features more than 200 stores. Some of the shopping favorites are Kate Spade New York, Macy’s, and Z Gallerie. If you find yourself south of Los Angeles, this is going to be your go-to shopping destination. Destiny USA in Syracuse, NY is a true shopping destination – retail and outlet brands abound here. Along with shopping, there is also quality entertainment (40 MPH go-karts, anyone?) and a happening nightlife. Popular shops include Apple, Coach, and Nordstrom Rack. Also, dining options include restaurants like Margaritaville and Texas de Brazil. Millcreek Mall offers an impressive selection of retail stores, restaurants, and even a children’s play area. It is located between the major the cities of Pittsburgh, PA and Cleveland, Ohio. So, if you are near the Erie, Pennsylvania area and looking to do some great shopping, Millcreek Mall will not disappoint. 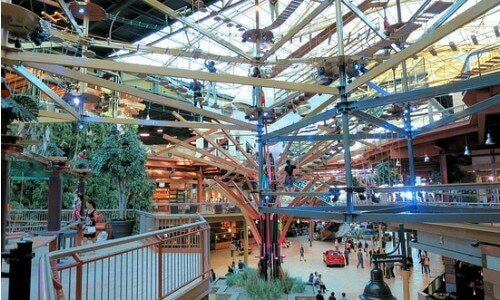 No list of the best malls in America would be complete without the Mall of America. 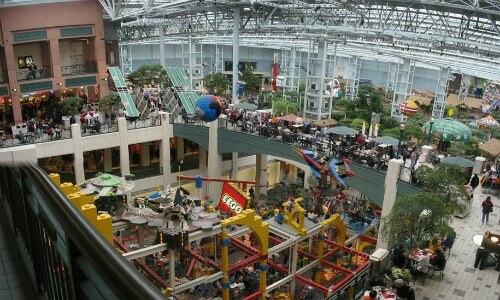 The biggest mall in the US, the Mall of America has over 500 stores, as well as an indoor amusement park. A variety of top-notch restaurants round out the Mall of America’s appeal. The Mall at Short Hills has everything from popular stores like J.Crew to upscale stores like Gucci. Also, shoppers can enjoy tax-free clothing purchases, as New Jersey is one of the handfuls of states that does not charge sales tax on clothing. And, with the mall just a short journey from Manhattan, you can get shopping and sightseeing done in one day. The Ala Moana Center is the world’s largest open-air shopping center. It also helps that it is situated in picture-perfect Honolulu. 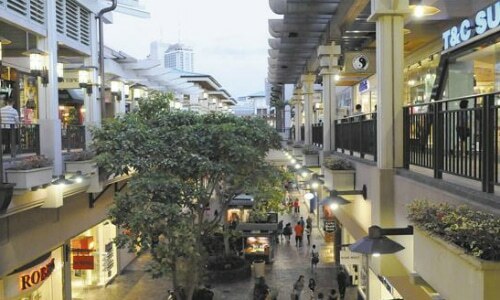 Ala Moana recently underwent a significant expansion as well, making it even more of a haven for shopaholics. So if you are in Hawaii and can tear yourself away from the beaches for a little while, the Ala Moana Center is a shopping must. 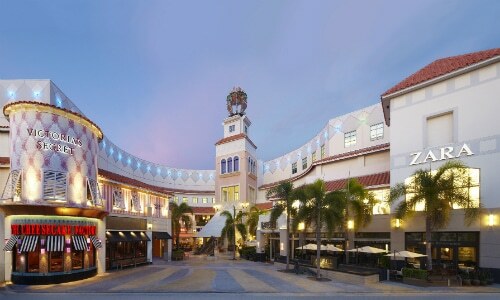 Just a short drive from Miami and Fort Lauderdale, Aventura Mall has over 300 stores. It also has A top-notch gym, movie theater, and three different spas as well. 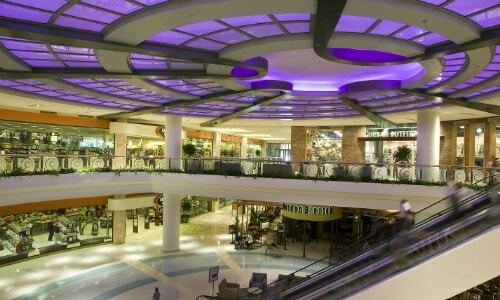 All of this is going to make Aventura Mall a place that you will want to come back to time and time again. Vegas is known for its shopping, and the Fashion Show mall in Las Vegas does not disappoint. Shops run the gamut from moderately priced options to high end, upscale clothing stores. 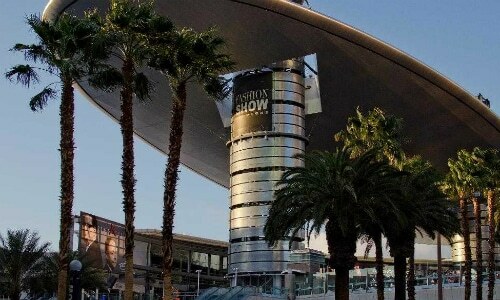 The mall also has regular live runway shows and is ideally situated in the middle of the Strip. 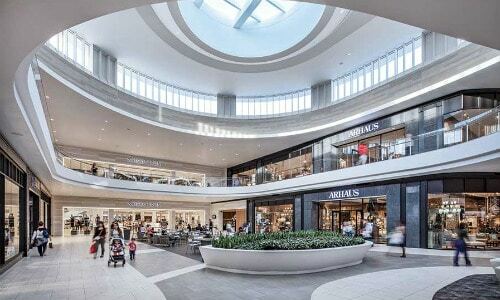 An Orange County shopper’s haven, South Coast Plaza consistently pulls in some of the highest sales of any mall in the United States. Over 300 shops and restaurants are in the plaza, with luxury boutique shops abounding. 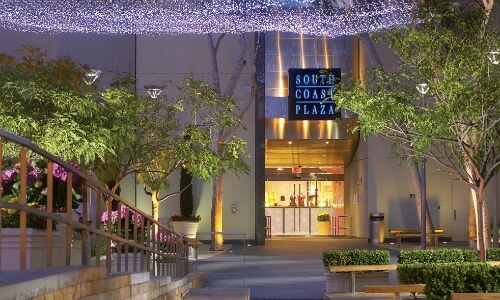 If you want some of the best in California style, South Coast Plaza is the place to be. Built in 2002, and a just a short drive from Walt Disney World, The Mall at Millenia draws locals and tourists alike. The mall is going to offer a vast variety of shops. 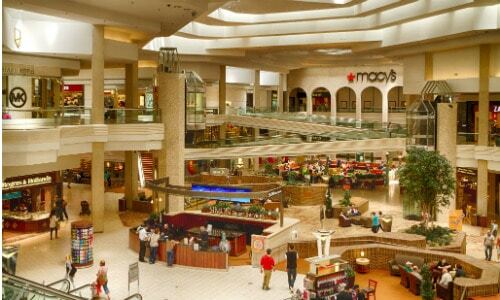 Also, the proximity to Orlando’s other shopping hotspots makes The Mall at Millenia an excellent shopping base. The Galleria has it all – over 400 shops and restaurants, three office towers, and two hotels, to be exact. Luxury shops like Louis Vuitton and Cartier are represented, as well as more moderately priced shops. 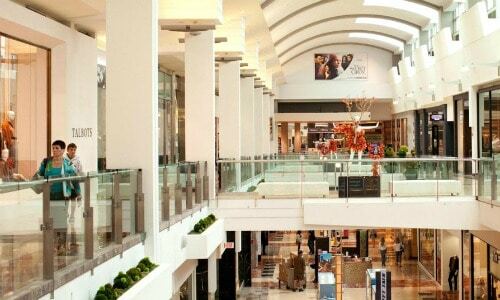 For a one of a kind shopping experience, The Galleria should not be missed. There are a lot of great places to go shopping, but none quite like the malls in this list. 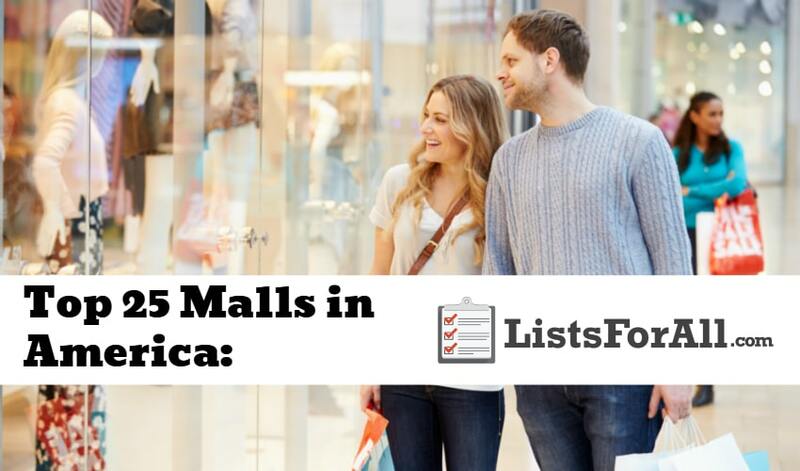 Whether you live close enough to make a day trip or want to check one out while on vacation, we highly suggest making this list of the best mall in America a priority when it comes to shopping. Not sure what you are looking for but need to find the perfect gift for someone? Visit our list of the best gift ideas for women and also our list of the best gifts for men, both will provide everything that you need.